Did Kenya and Kim manage to find a way to stop bickering? 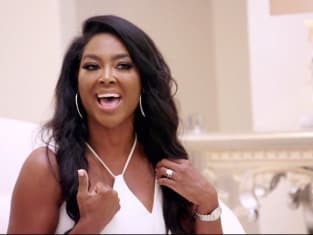 That was the question on The Real Housewives of Atlanta Season 10 Episode 5 as NeNe fumed that the two women became embroiled in a physical fight at her party. Meanwhile, Cynthia finally opened up to her daughter about the new man in her life, but how did her kid feel about it all? Also, Sheree dropped the biggest bomb yet about her romantic life. Use the video above to watch The Real Housewives of Atlanta online right here via TV Fanatic. Get caught up now.